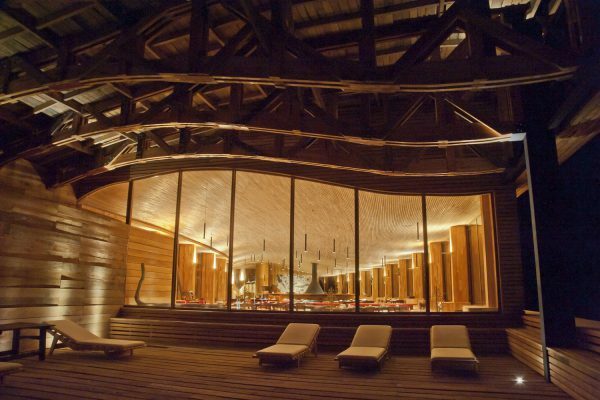 Tierra Patagonia is, first of all, part of something much bigger. 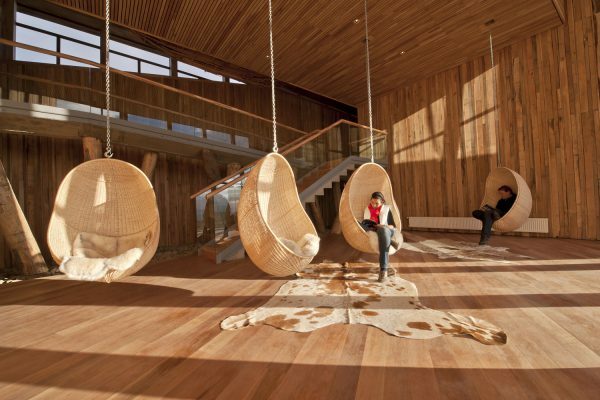 The hotel was planned to be a part of nature, which becomes obvious from its architecture, which follows the harmonic style of the natural beauty of the region. 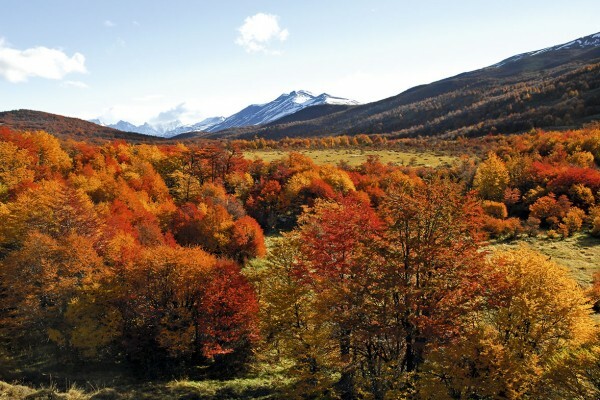 Its features, colors and shapes are easily confused with the the Patagonian landscape. 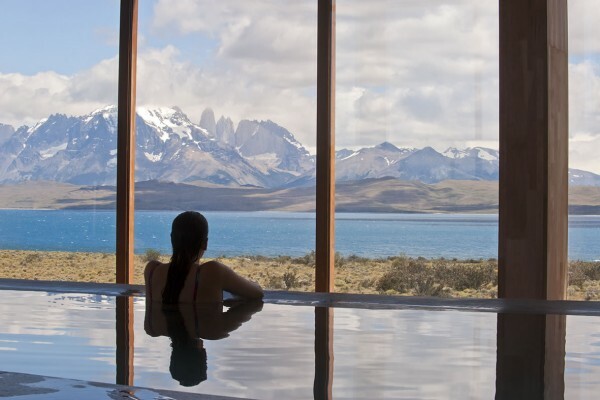 Speaking of which, right in front of the hotel are the Cordillera Torres Del Paine Mountains and the Sarmiento Lake, true nature masterpieces. 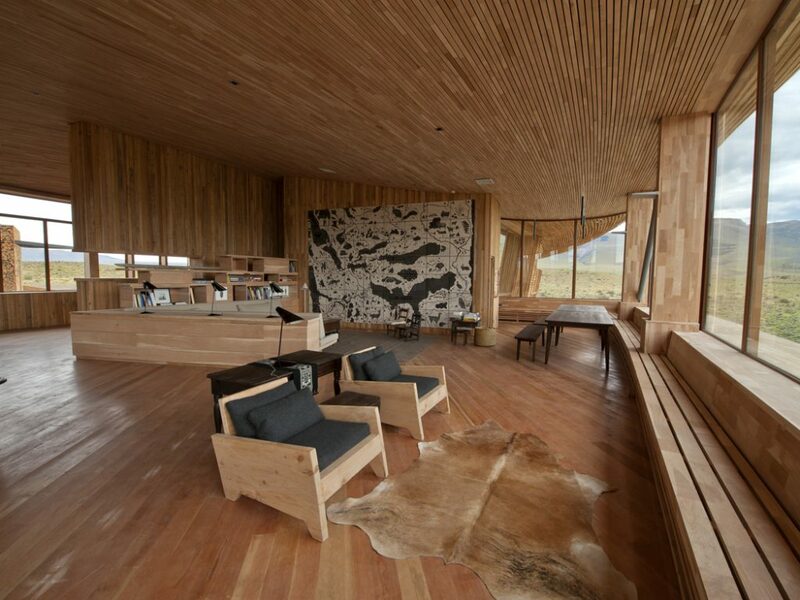 The view from the hotel windows, both in social areas and inside the rooms, will keep you in constant contact with the immensity of the prairie. 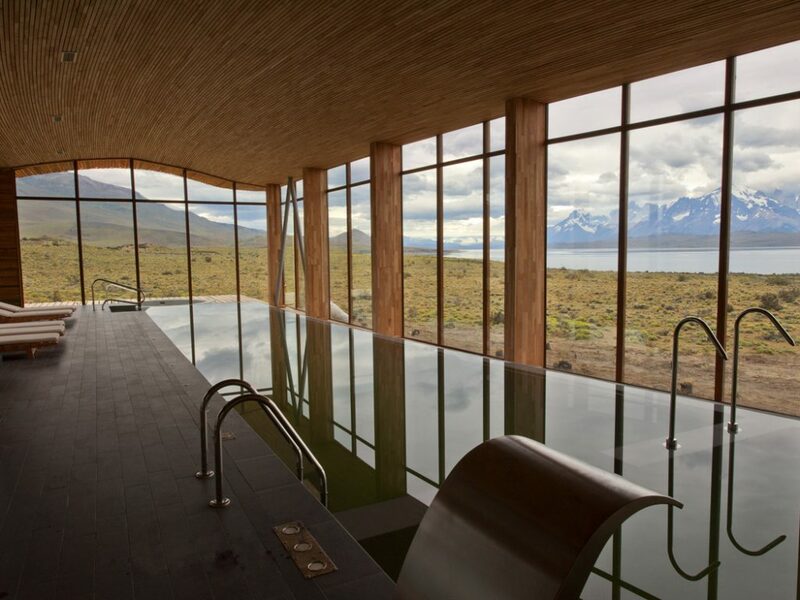 The natural concept goes all the way to the Spa, using local elements such as rocks and water, to treat the body and mind. 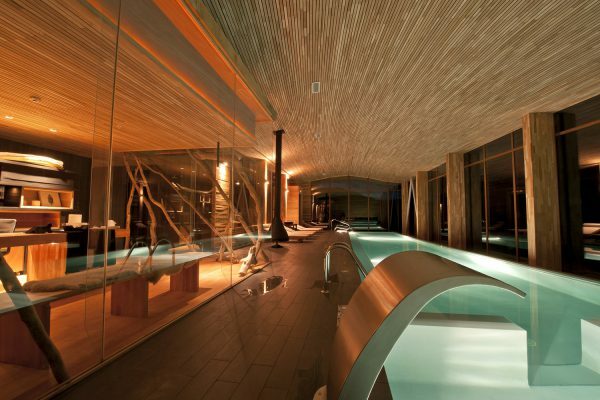 A heated indoor swimming pool, steam bath, sauna, Jacuzzi tubs and massage complete all the relaxation you need. 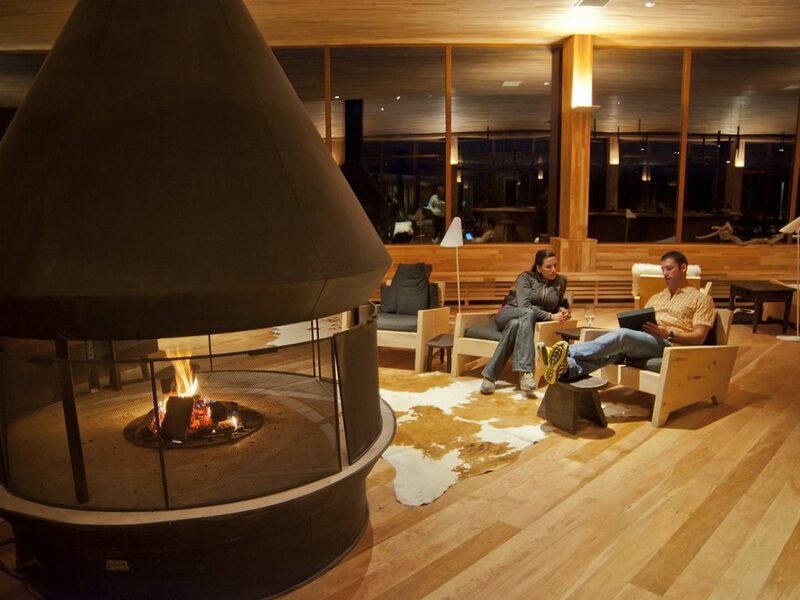 And the relaxation will be well-deserved: at Tierra Patagonia, the are plenty of activity options for you to explore the Chilean Patagonia. 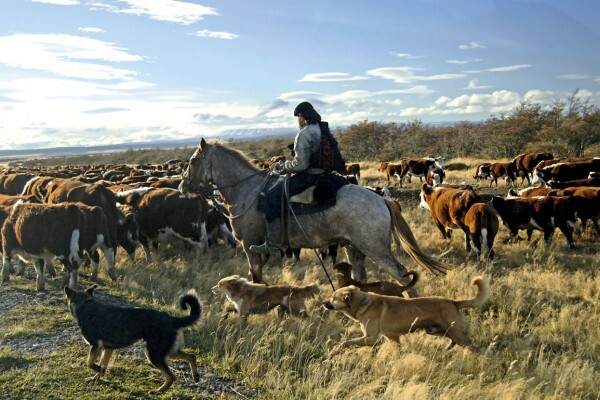 SUL Hotels Tip: Horseback rides are one of the most unforgettable Patagonian experiences. You will feel a maximum connection to nature while exploring the region on horseback. 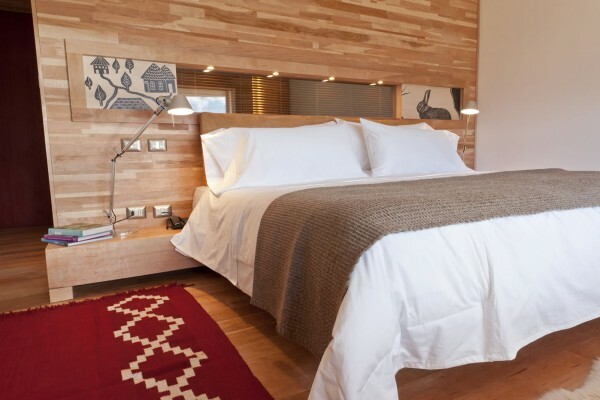 The hotel offers 40 accommodation options, all of them equipped with telephone, hair dryer, in-room safe and heater. There are 34 in total, 10 of which can be adjoining, creating 5 family apartments. 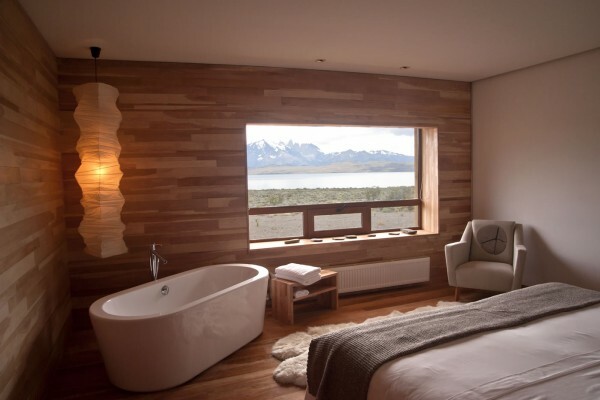 There are 3 spacious 36sqm Standard rooms, all of them offering beautiful views of Sarmiento Lake and Torres del Paine Mountains. This 2-story 52sqm option has 3 units, all of them with a social area on the upper floor and the bedroom and bathroom on the ground level. The most spacious options with 72sqm, all of them with 2 bedrooms and 2 bathrooms, comfortably accommodating up to 6 people. 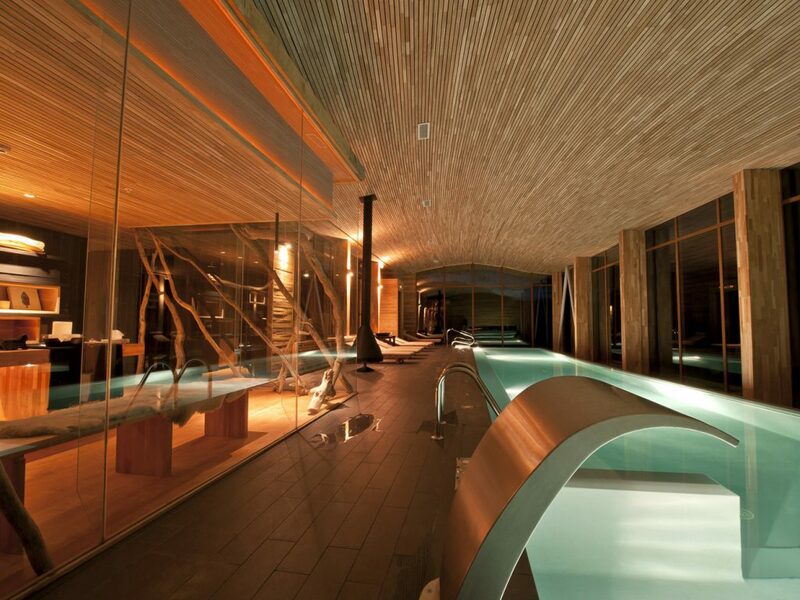 The hotel’s architecture was designed to mime the place where it’s located, and is an spectacular construction. 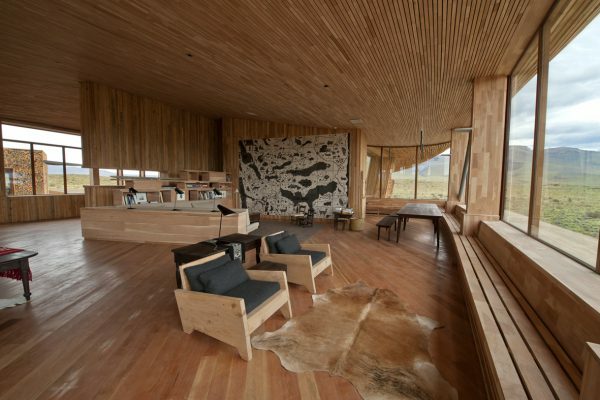 The integration of architecture with the landscape can easily be perceived in the harmonic lines of the extensive field where the hotel is built on. 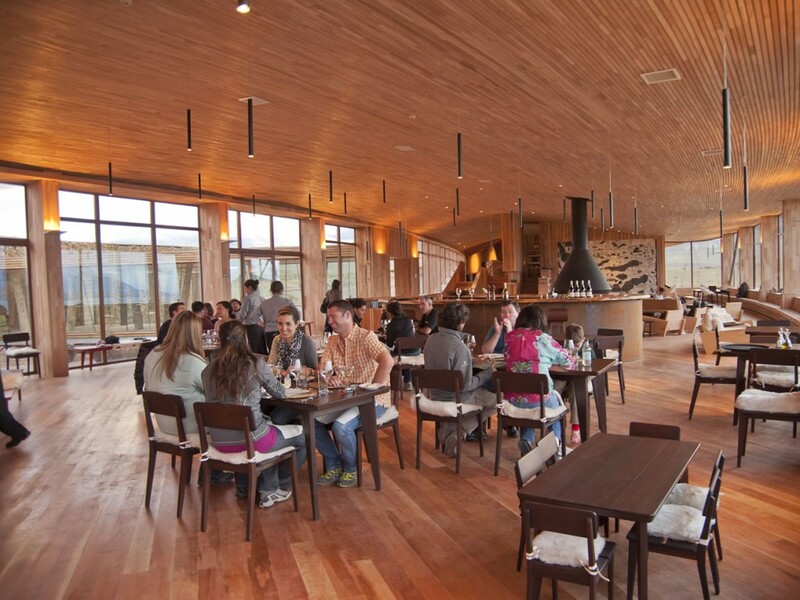 The warm decor refers to the local culture, making guests dive deeper into Patagonian history and tradition. 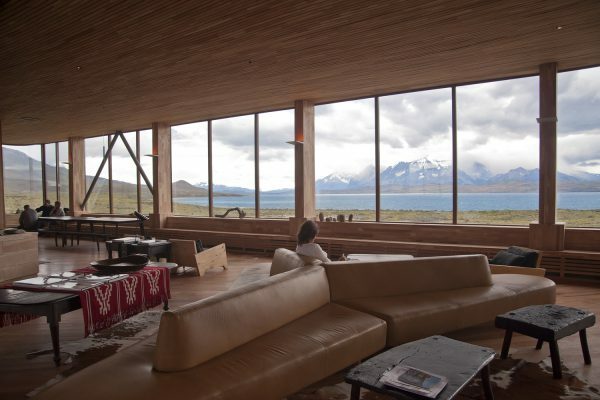 In a privileged location, at Tierra Patagônia you’ll be on the shore of Sarmiento Lake with stunning views to Torres del Paine National Park. 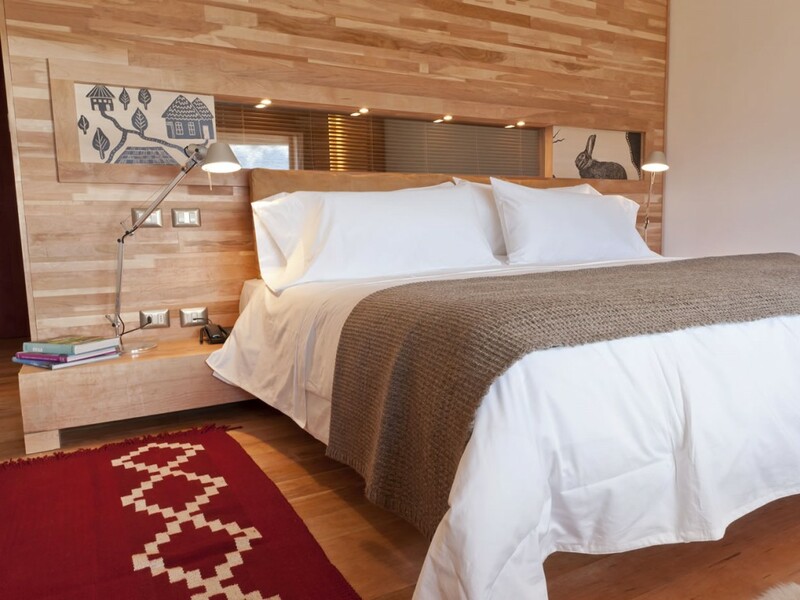 The hotel was created by the Purcell family, also the owners of Ski Portillo for over 50 years, famous in Chile for their warm hospitality. 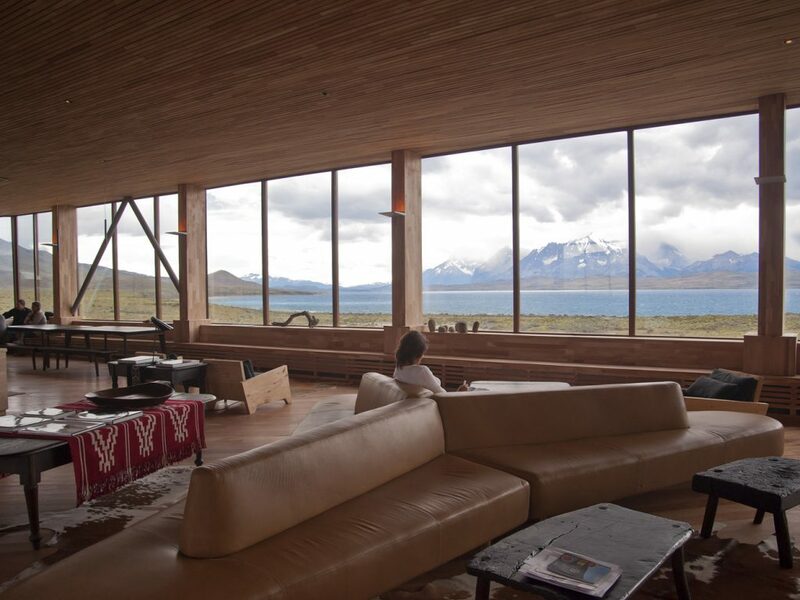 As in Portillo, Tierra Patagonia offers experiences that combine outdoor adventure and sports with comfort, high quality service and utmost hospitality. 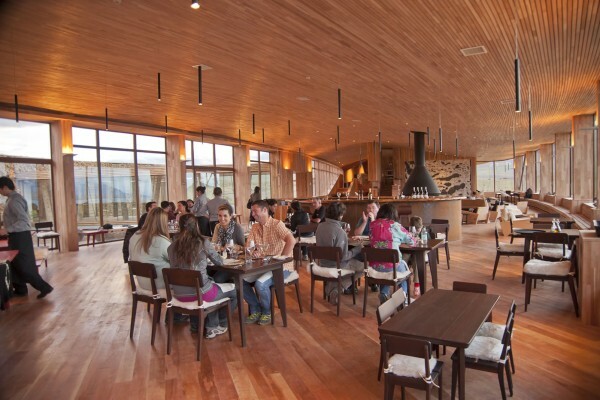 Tierra Patagonia offers a wide range of tours to cater for all types of guests. 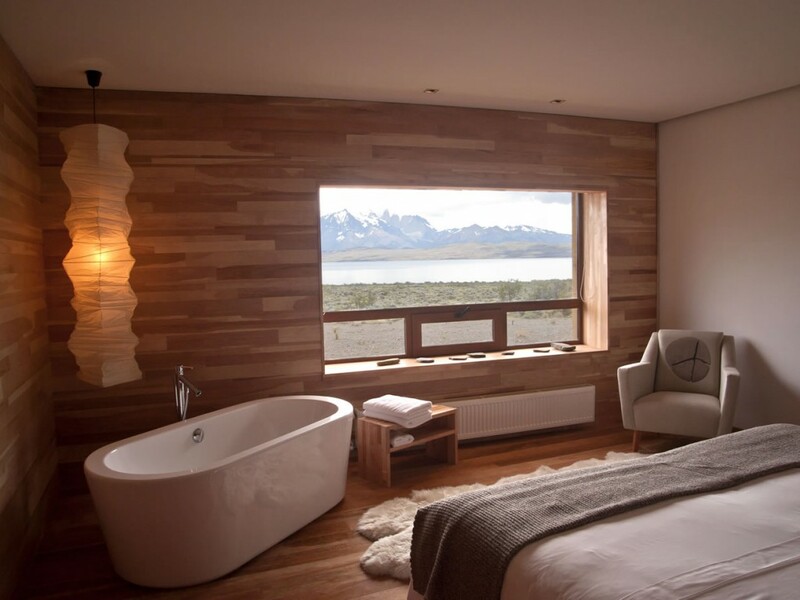 With its prime location on the edge of Torres del Paine Mountain, you can visit the park and its surroundings exclusively, even going into the private resorts. 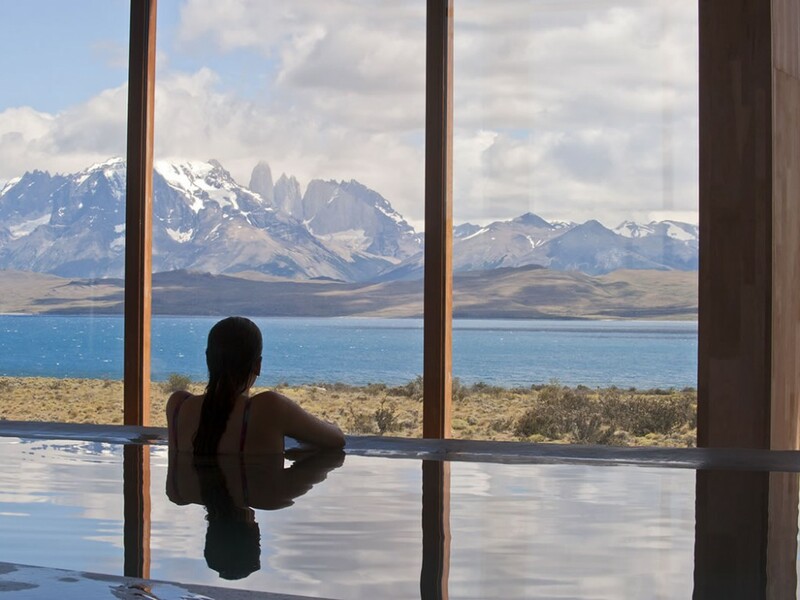 Chilean Patagonia is a narrow stretch of land between the Atlantic and Pacific oceans, which hides some of the most sublime scenery on the planet. 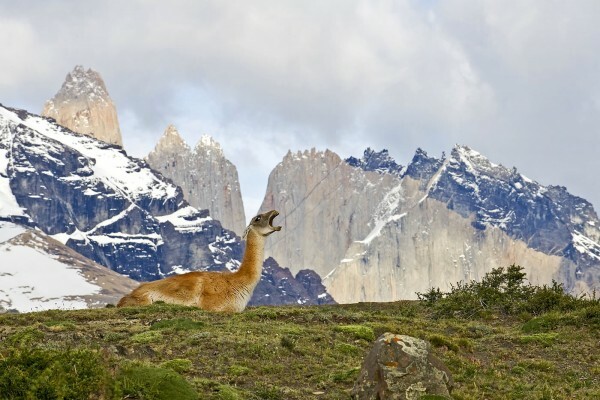 Torres del Paine National Park is the “ground zero” of the region. 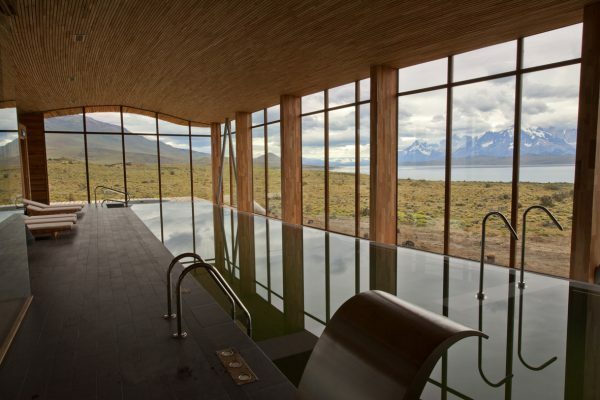 Still unknown and unexplored, Patagonia is a remote destination, full of natural wonders. 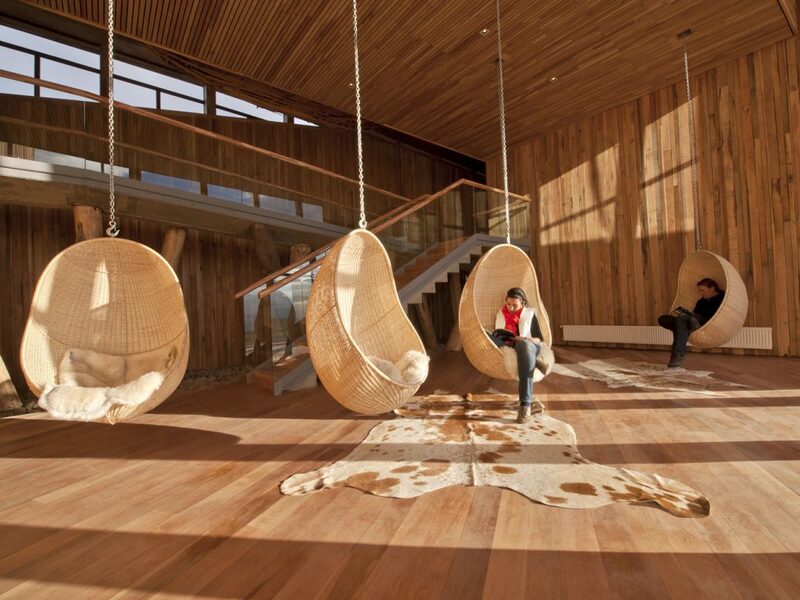 The Park itself is impressive, with its rich flora and fauna, and a wide variety of mountains, forests, pampas, glaciers, lakes, rivers and waterfalls. Torres del Paine Mountain will dazzle you, as well as Cuernos del Paine peaks and the extension of Maciço del Paine Mountain. There are four glaciers in the park: Grey, Pingo, Frances and Dickson. 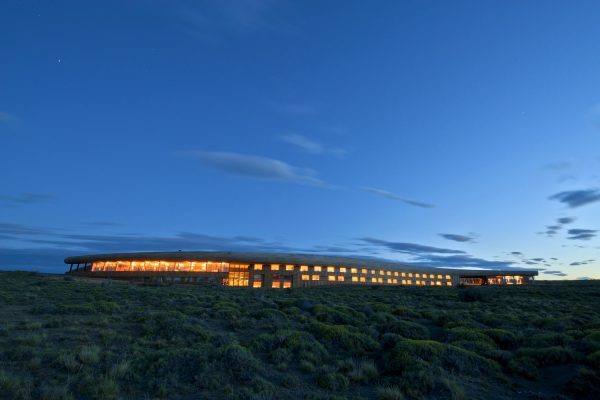 The lakes include Sarmiento, where Tierra Patagonia hotel is located, Pehoé, Nordenskjold, Pingo and Dickson, each with its unique beauty. There are also several smaller lakes to explore. This amazing 185,000 hectares park attracts travelers from all over the world, including scientists, mountain climbers and explorers. 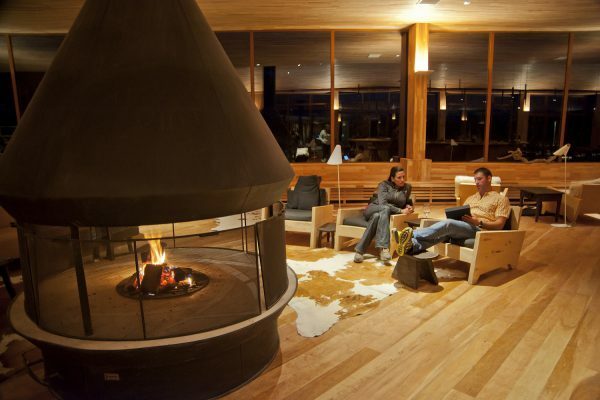 The Patagonian winter is very harsh, therefore, Tierra Patagonia operates only from September to April. 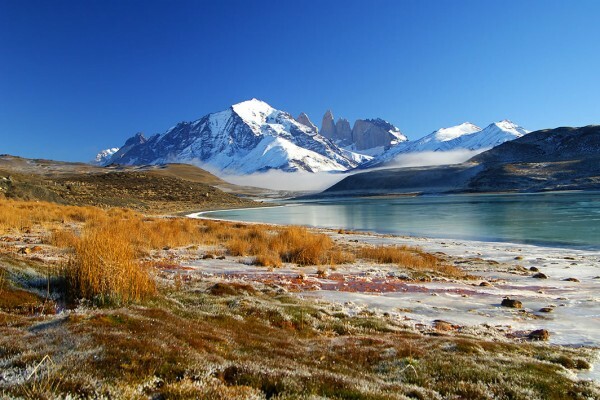 How about a trek in the beautiful Patagonia region? Or, if you prefer, horseback riding is also an option. If you are a more active traveler, cycling will be the perfect option for you. No matter how you decide to explore, one thing is certain: the amazing views will sweep you off your feet. In addition to the many trails amidst nature, Tierra offers a range of unexpected activities such as sheep shearing and taming wild horses. 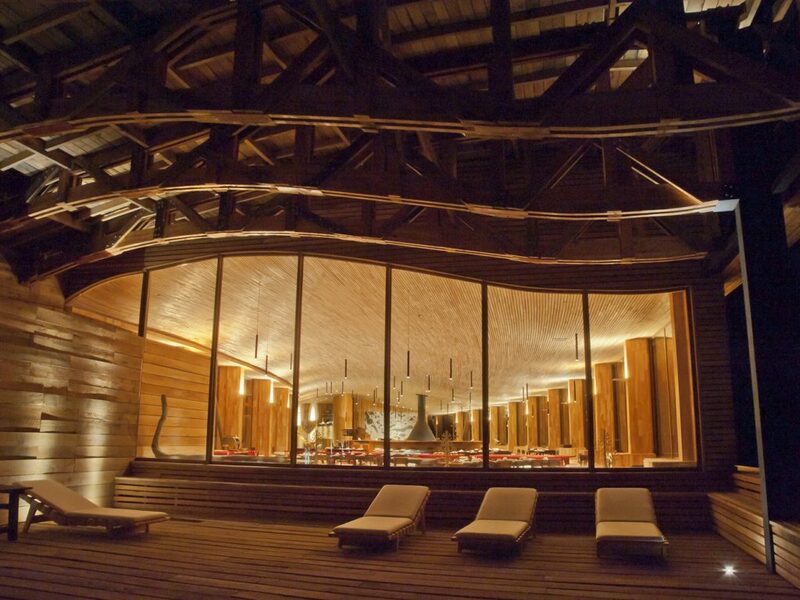 At Tierra Patagônia you will be immersed in nature, feel connect to it every step of the way. From Santiago, take a 3h30m flight to Punta Arenas, from where you’ll need a 4-hour drive to the hotel, which is included in the rate. 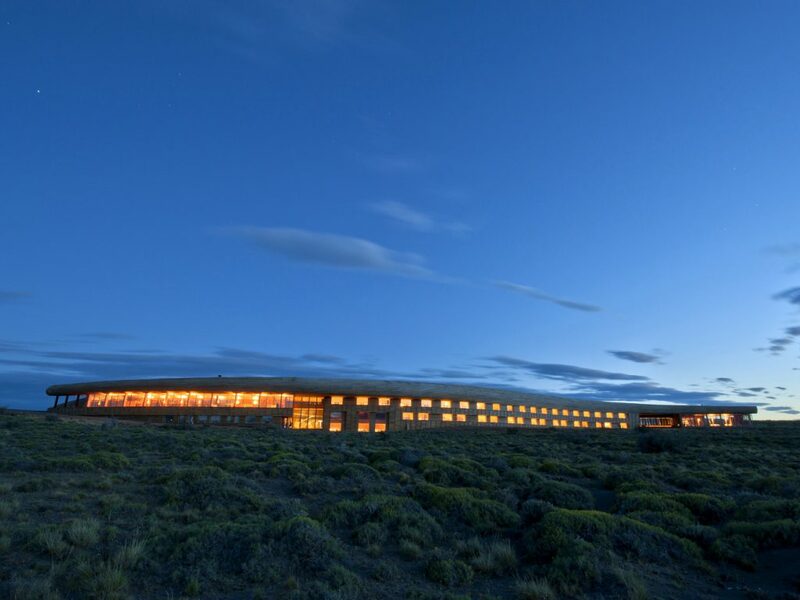 A good alternative for your arrival or departure, is to combine this destination with El Calafate region, in Argentinean Patagonia, only a 5-hour drive from Tierra Patagonia hotel.